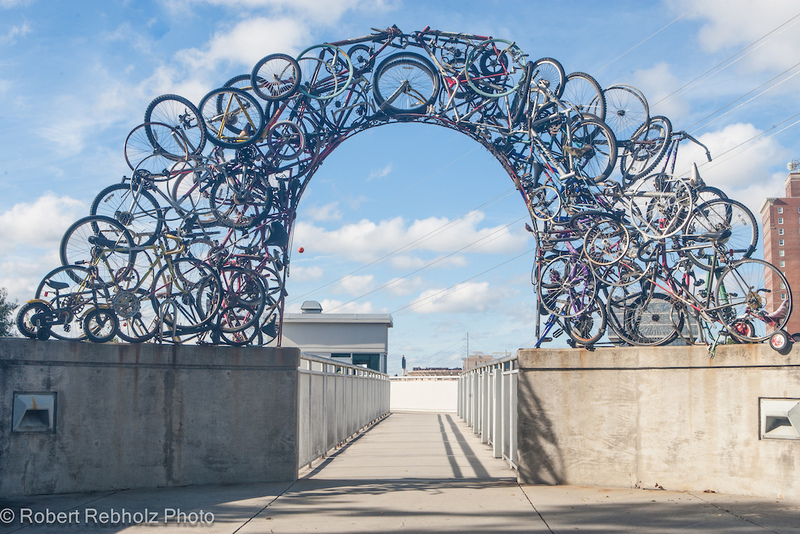 Keep your riding season going with an autumn road trip to the Southeastern U.S. In my mind, the mark of a great summer is feeling completely tired of road tripping by Labor Day. If you’ve hit all of the great bike parks and riding spots within a day’s drive of your home by the end of summer, you probably feel really good about your riding. You may also feel a bit burned out from the road. September is usually the month that I stay around my home in Upstate New York and enjoy some of the local riding that I missed traveling all summer. By the time October rolls around and the riding season starts to wind down in the Northeastern United States, I get the itch to do one more great road trip before winter hits. The last few years I’ve traveled south to get in some great autumn riding. This past year I linked up with my good friend Rich Kidd for an awesome deep South adventure. 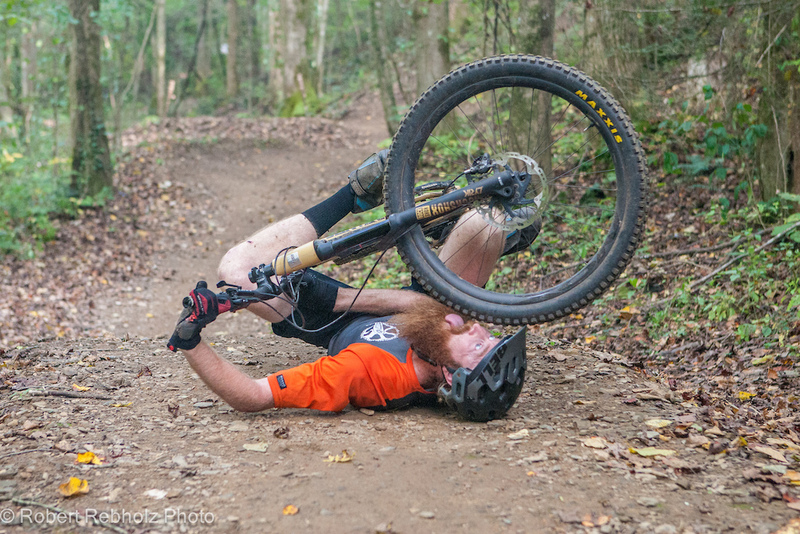 Rich, also known as Shaggy, is a professional trail builder based in Knoxville, Tennessee. Shaggy is switched on to all of the best new spots to ride in his zone. He suggested that we start our trip in Knoxville and make our way to Mulberry Gap in the Chattahoochee National Forest in Georgia. It didn’t take much to convince me to jump on to that great itinerary. I met up with Shaggy in Knoxville and he was excited to show me all of the new projects that the Appalachian Mountain Bike Club had been working on. “Let’s check out some of the new work in Fort Dickerson Park,” Shaggy suggested for our first ride. 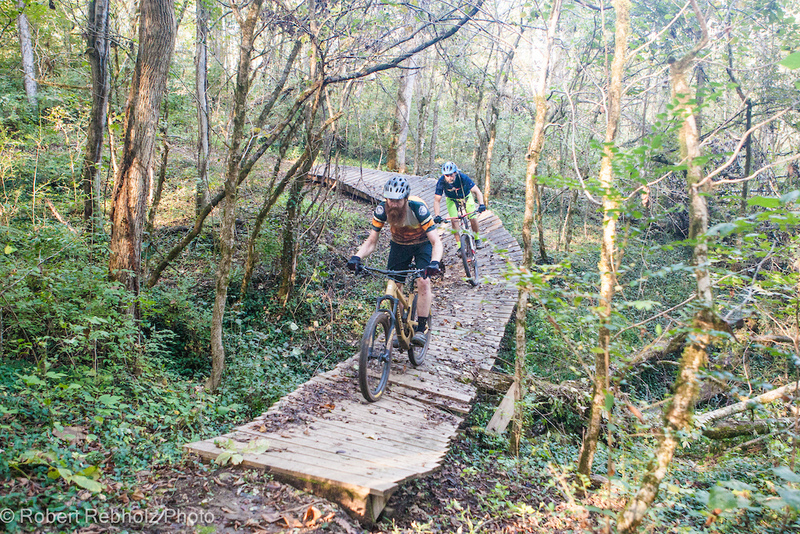 Knoxville’s Urban Wilderness Trail system is an amazing network of over 50 miles of singletrack that connects multiple parks and cultural sites around the city. The synergy of local government, AMBC and the Legacy Parks Foundation, a non-profit committed to creating natural recreation areas for public use, has produced expansion of the network. The fort is at the top of the hill and overlooks a sizeable quarry. The trail winds along the rim of the quarry and overlooks the man-made lake hundreds of feet below. You may have ridden some of Knight’s amazing work in Vermont at Kingdom Trails or Victory Hill. AMBC has brought Knight and several other high-profile trail builders in to help with big projects in the area. We came to a section with some nice jumps and rock drops. “This area was a homeless camp just a few years ago,” Shaggy said as he pedaled into the jumps. It was great following Shaggy off drops and jumps to the bottom of the quarry. We took a moment at the bottom of the quarry to chill before making the climb out. Even though we were in the middle of a major city, it felt like we were deep in the backcountry. 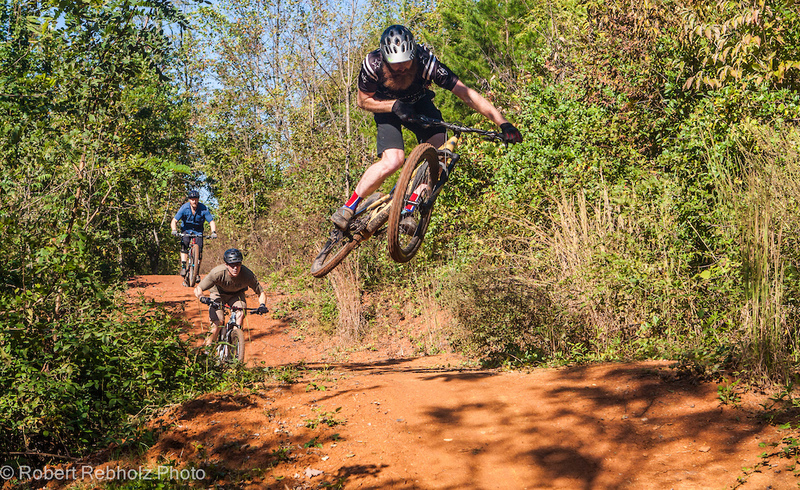 Kudos to AMBC, Legacy Parks and the local Knoxville government for turning a disused urban quarry into a riding gem. After grabbing some lunch at SoKno Taco Cantina, we headed back to the Baker Creek Preserve. Baker Creek is basically a bike park with no lift access. 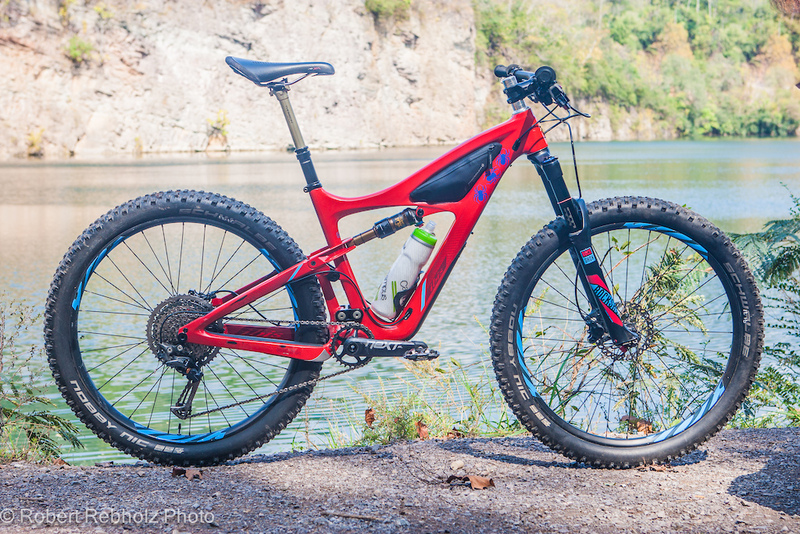 The climb is a mellow grade that you won’t mind doing on your enduro bike and you’ll definitely appreciate the extra travel on the way down. 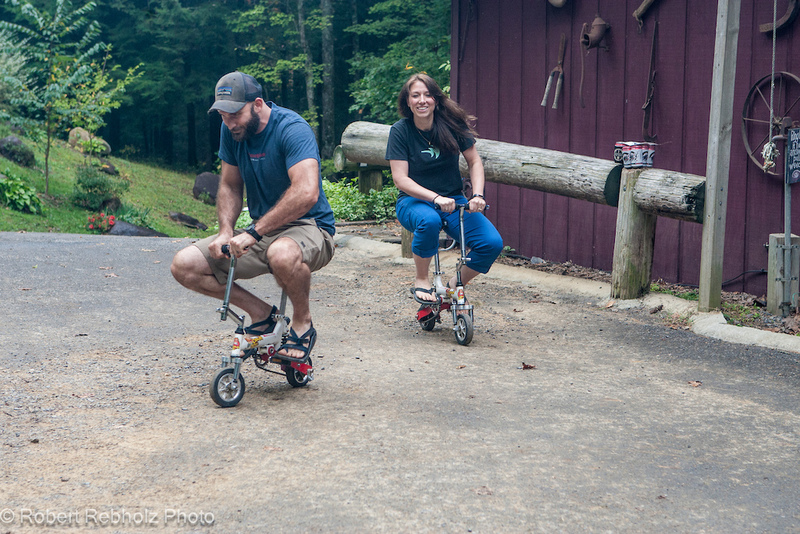 Every level of rider can have fun at the Baker Creek Preserve. 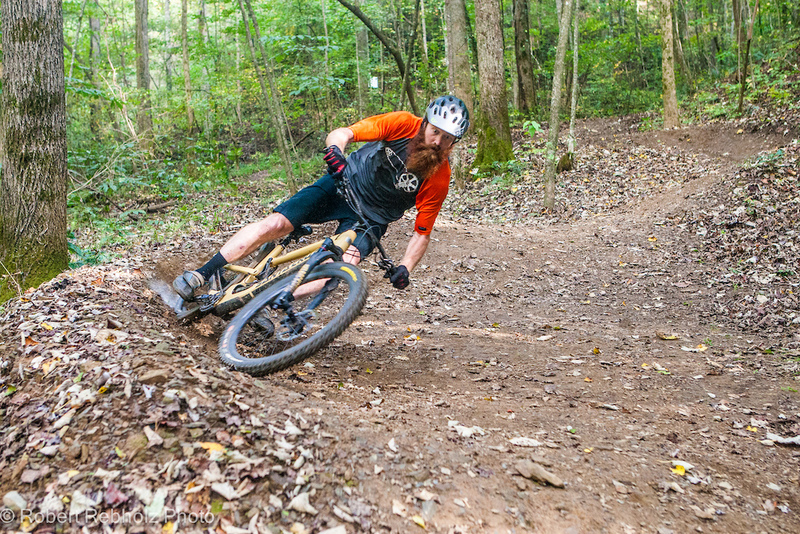 For beginners Cruze Valley Run is a great way to get familiar with rollers and berms. For those who want to send it, check out the newly re-worked Devil’s Racetrack. My favorite trail at Baker Creek is Barn Burner. 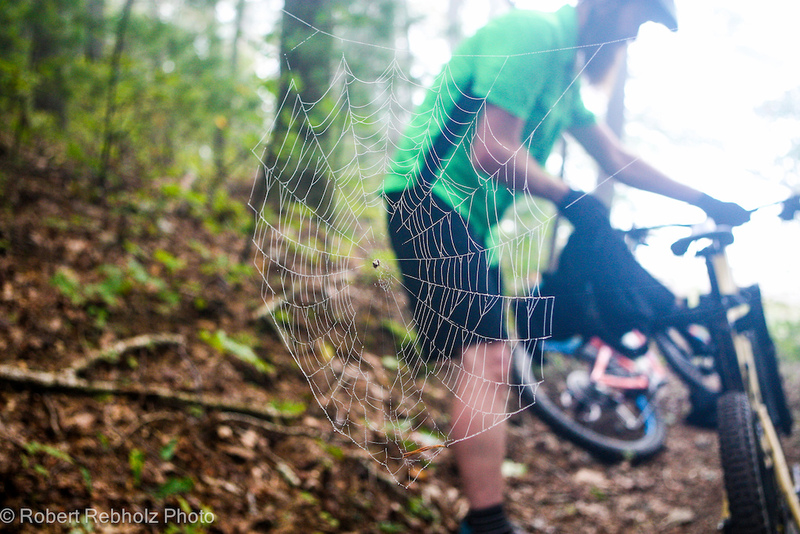 AMBC does a great job of keeping up with maintenance on the blue jump trail. 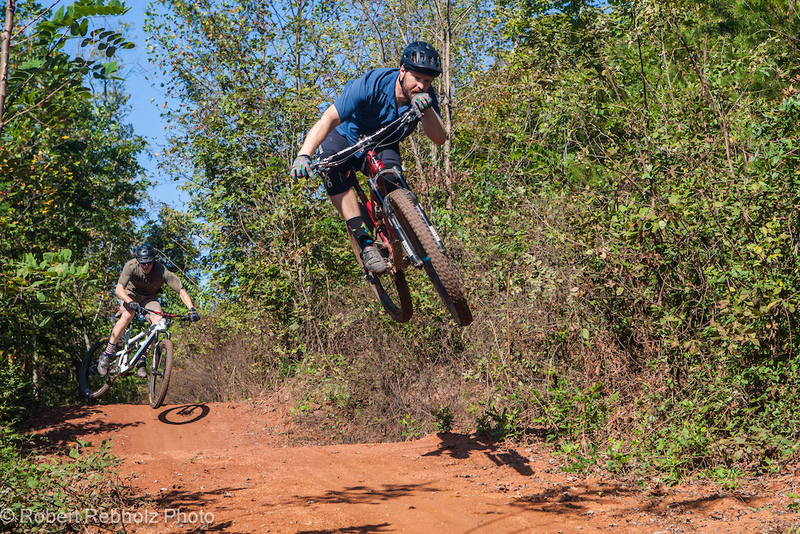 The flowy jumps, big hips and clean corners with no braking bumps at the Baker Creek Preserve will have you coming back for more. After a few awesome days in Knoxville, Shaggy and I headed out of town to check out a project that he had worked on recently. 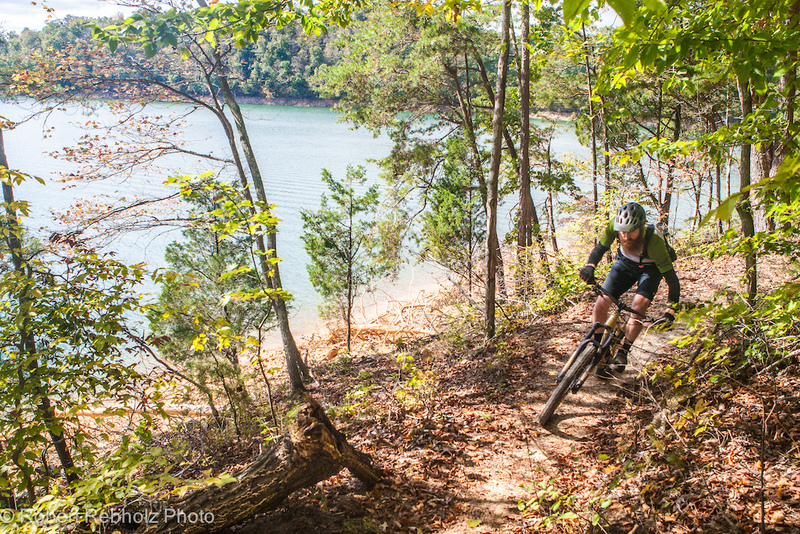 Loyston Point is a recreation area located in Andersonville, 30 miles north of Knoxville. 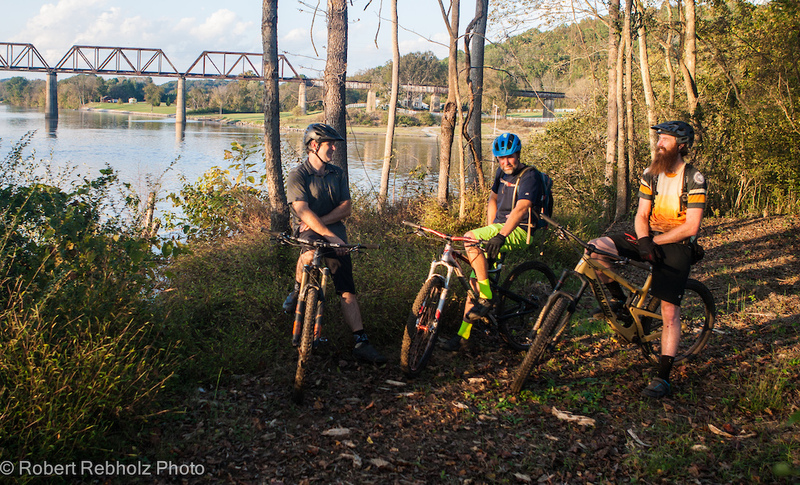 Loyston Point is on a beautiful stretch of Clinch River and offers biking, hiking, camping and boating. 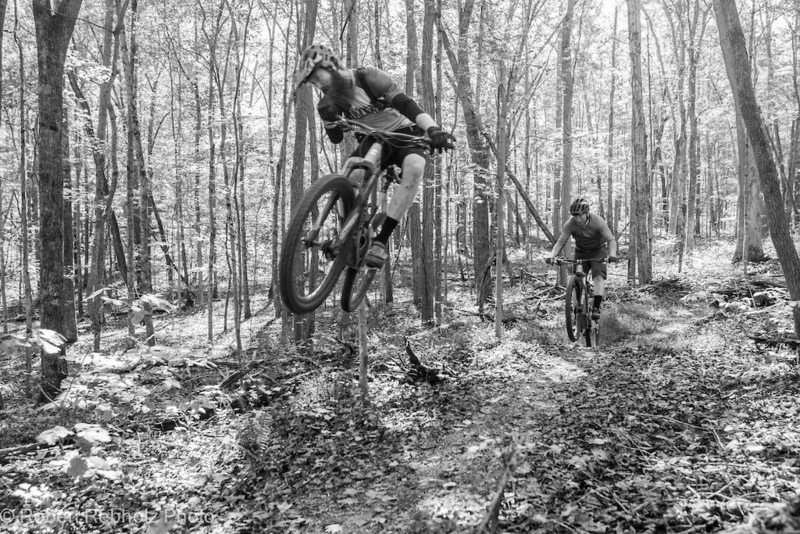 The trails at Loyston Point are 100 percent machine built and suitable for all level of riders. We started on the shorter five-mile loop and took time to enjoy the amazing vistas of Norris Lake. There are terrific views of the Cumberland Mountains to the northwest and the Smokies to the Southeast. After grabbing a snack back at the car we headed out to rip the longer Mill Creek Loop. This longer loop is around seven miles, bringing the total amount of singletrack to just under 13 miles. With terrific views, ripping fast trails and convenient bathroom/changing areas right in the parking lot, Loyston Point is definitely worth checking out if you are in the area. Shaggy had told me about Mulberry Gap in Ellijay, Georgia years ago and I was extremely excited to check it out. It was a quick two-hour drive from Knoxville to Mulberry Gap. We had some extra time on the way down so we stopped and rode Raccoon Mountain in Chattanooga. If you are going that way, I highly recommend spending an afternoon there. Mulberry Gap is one of the coolest places I’ve ever been to for riding. 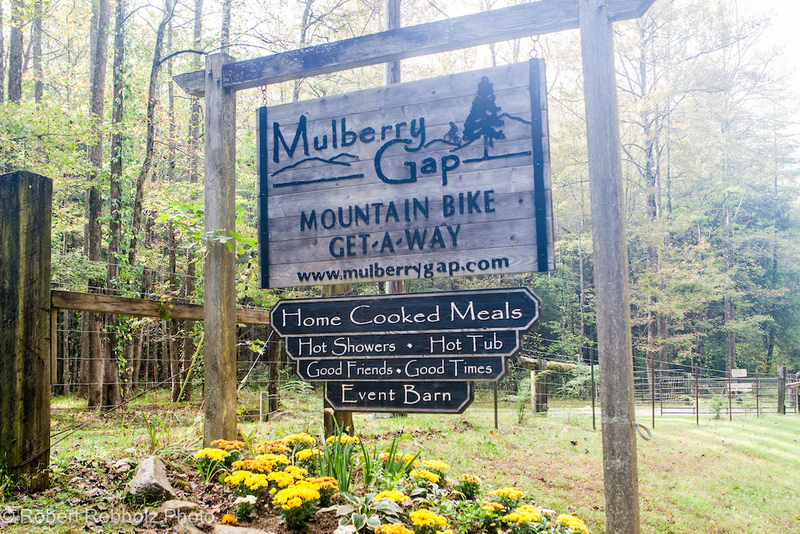 Owners Kate and Andrew Gates describe Mulberry Gap as a "mountain bike getaway." 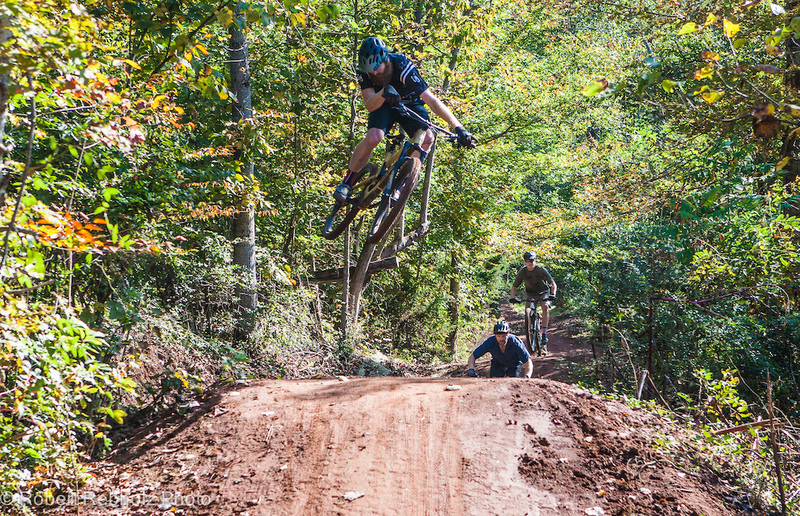 Kate and Andrew are both avid riders and have created the perfect launching pad for your backcountry adventure in the Chattahoochee National Forest. You can feel how much passion Kate and Andrew have for riding and showing guests a great time at The Gap. “Our slogan is just bring your bike and we’ll do the rest!” Kate told me when I called her on what I needed to pack for the trip. “We try to make our guests' stay as easy as possible,” Andrew said as he was firing up the smoker for our post-ride feast. “From route planning to logistics, delicious home cooked meals, a stellar craft beer selection, guide options, shuttle services, and a slew of events to choose from throughout the year - we’ve got you covered.” Literally all you have to do is show up to have a good time at Mulberry Gap. Before I get into the endless miles of mind-blowing shuttle riding, let me describe the setup of Mulberry Gap. The property is cut on a steep mountain and laid out on tiered levels. They offer cabins, car camping and sites for bigger RV's or vans. Mulberry Gap checks all of the boxes for a great camping experience. There are clean bathrooms with running water, shower facilities, and a beautiful common area great hall to hang out in. Don’t forget to hit the hot tub after your ride as well. Besides the world-class riding, the best part of staying at Mulberry Gap for me is the amazing food. When you get up in the morning, a Southern breakfast is served to get you fueled up for the day. The delicious pancakes, real maple syrup, fresh fruit and sausage hit the spot before a big day of riding in the misty Georgia mountains. 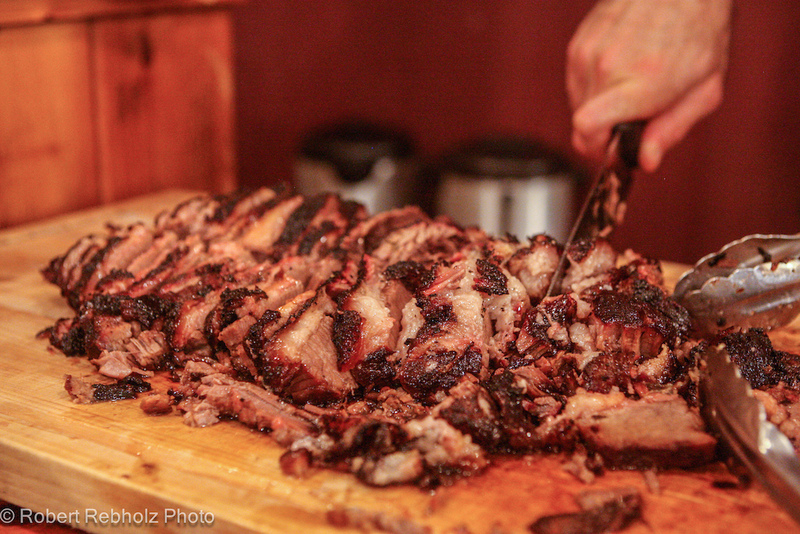 While you are shredding, the staff is putting together a mouthwatering dinner served hot when you get off the trails. Don’t linger too long in the hot shower after your ride, or you’ll miss out on a great meal like I had. The smoked brisket, campfire potatoes and grilled veggies, with strawberry shortcake for dessert, tasted great after a long day in the saddle. 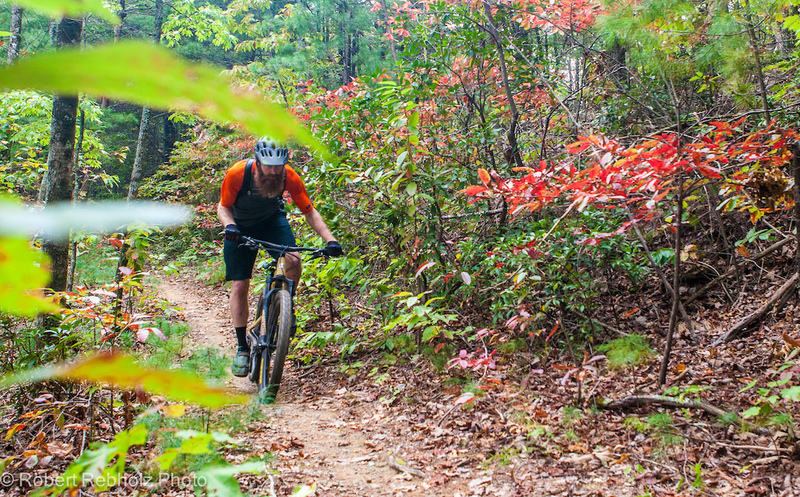 The Georgia Pinhoti Trail System that is accessed from Mulberry Gap is truly some special riding. To cut out some of the steep climbs, MG has two 15-passenger vans for shuttling. We rode two days at MG, and I was impressed with the both the quality of trail and sheer volume of endless flowy descents. The best advice I can give when you visit Mulberry Gap is to bring a bike that you are comfortable climbing with. Even with the shuttles there is quite a bit of elevation you have to gain on your own. 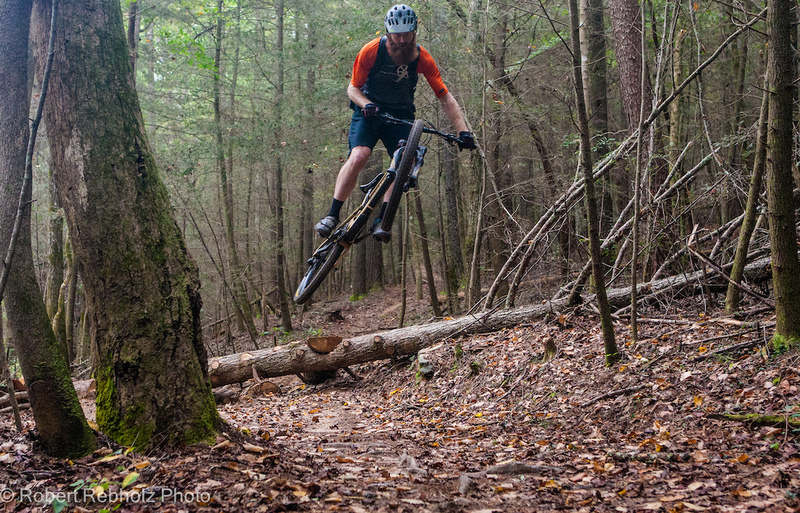 If you want to challenge yourself, a popular ride is the Mountaintown Creek section of the GPT. You’ll take a 45-minute shuttle from MG and then strap in for an amazing adventure. 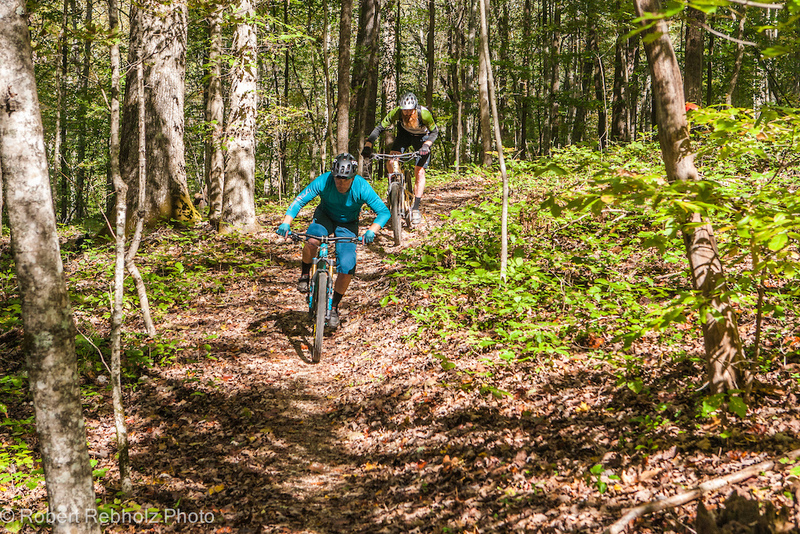 If you connect it with a few other trails like Bear Creek and Pinhoti 1 and 2, you are looking at an average ride time of six hours. You will end up with over 3,700 feet of elevation gain and loss! There are many technical creek crossings, waterfalls and cascades you will pass by. Some sections get quite steep and loose, especially in wet weather. You will feel as though you are on a true deep backcountry adventure if you decide to ride Mountaintown. 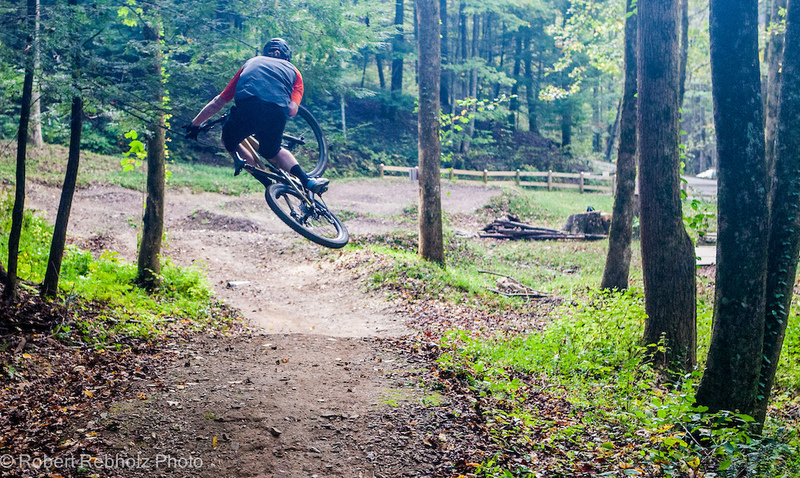 If you are looking for something a bit smaller, grab a shuttle and ride the flowy downhills of Pinhoti 3 and 4. There are some awesome berms built into the side of the mountain. There are also some rad natural features to boost as well as some steep switchbacks. I would highly recommend checking out the amazing riding that the South has to offer. 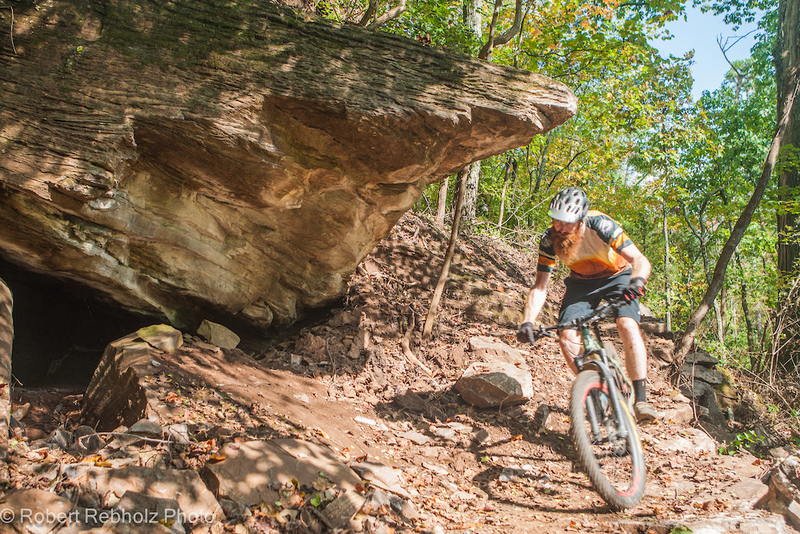 Knoxville is a great place to launch your next mountain bike adventure from. The city is a pleasure to stay in and the mountain biking is off the charts. The proximity to other great riding spots like Mulberry Gap, Brevard and Chattanooga make it my first choice when I head down South. 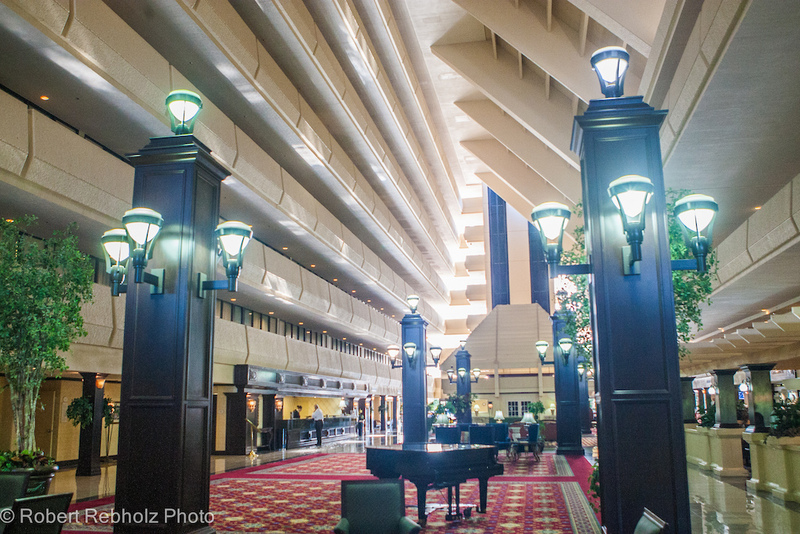 If you’re looking for an especially convenient spot to stay at in the heart of downtown, look no further than the Marriott Hotel Knoxville. It’s located within walking distance of tons of great bars and restaurants, and it’s a quick drive to the Baker Creek Preserve. There’s nothing better than hitting the pool and hot tub at the hotel after riding the Urban Wilderness Trail. Thanks to Shaggy for putting this amazing trip together. Thanks to Erin Donovan at Visit Knoxville for being such a great host while in Knoxville. Thanks to Kate and Andrew for the amazing time at Mulberry Gap. Thanks to Ibis Cycles, Hayes Brakes, ProTaper, Thomson, Fox Shocks, RockShox, Schwalbe Tires and Thule for their support.